Thought I’d start a series of random images from my portfolio. Always welcome any comments. 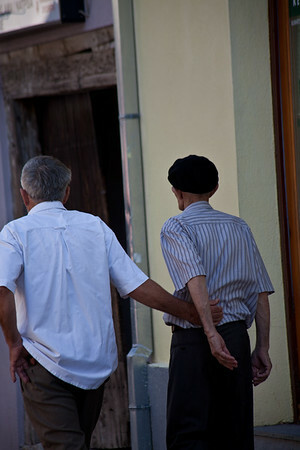 Caught these two guys gently ambling along a Mostar (Bosnia) street. I was touched by the younger guys obvious affection. What’s their story? Father and son? Good mates? A stranger helping an old man?